The Faithfull FAI5GBUCKET general purpose bucket has hundreds of uses around the worksite, home and garden. 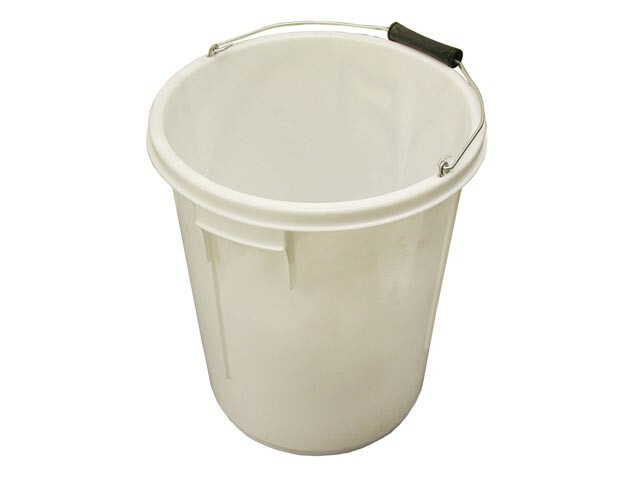 Each bucket has graduated markings in gallons and litres and is fitted with a strong wire handle and plastic carry grip. Internal diameter is approx. 270mm at the bottom and 320mm at the top, the internal height is 410mm.